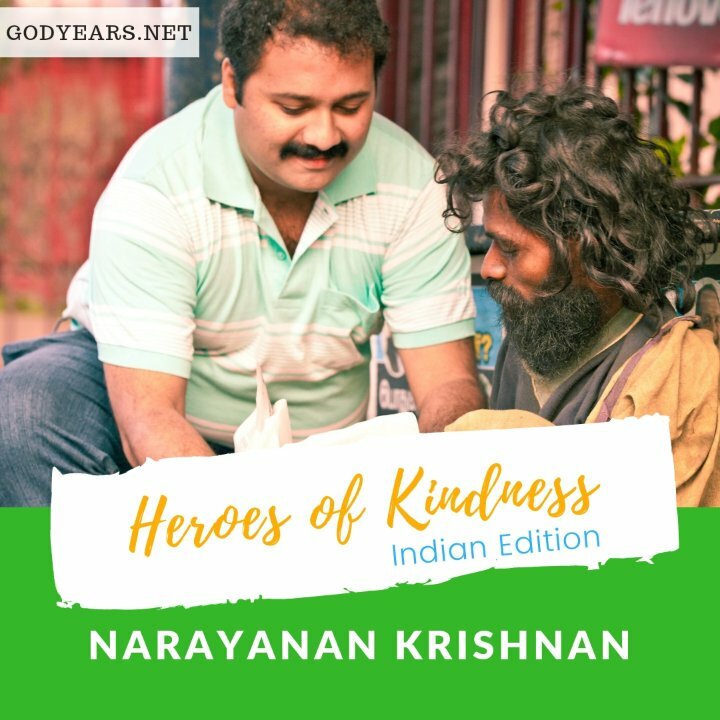 Narayanan Krishnan was living the dream of many a young Indian when his life was changed forever by an old man living on the street. A young internationally famous five star chef, Narayanan was due to travel to Switzerland for the next phase in his career when he saw a homeless old man on the road one day, unable to bear the pain of hunger, eating his own faeces. Getting out of his vehicle, he quickly purchased some food and gave it to the old man. But the image haunted the chef for days and he found himself questioning his own life choices as a chef providing food for the wealthy while people all around him were starving. 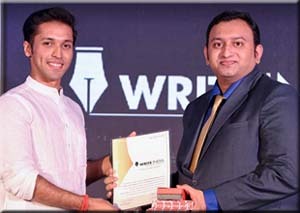 Cancelling his own plans to work abroad, Narayanan Krishnan - much to the shock of his own parents and friends - quit his high profile job in India as well and decided to do more for those who had no one to help them. 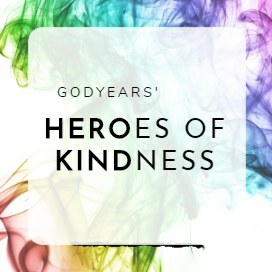 He began in 2002 by seeking out those orphans and old or disabled people who lived on the road and prepared food daily for them. With the help of locals, soon the movement grew and he created the Akshaya Foundation as a van that was basically a mobile caretaking unit. With the aim of giving respect to the destitute, Narayanan also learned the art of hair-cutting to give the homeless a clean appearance. Even as he struggled with funds, he did not waver and finally, in 2013, the Akshaya Home in Madurai was founded. Till date, the Akshaya Home has been a home to around 1500 old people and disabled and Narayanan Krishnan has successfully reunited at least 400 of them with their family members. The van now serves as an ambulance to aid the homeless and provide medical aid. 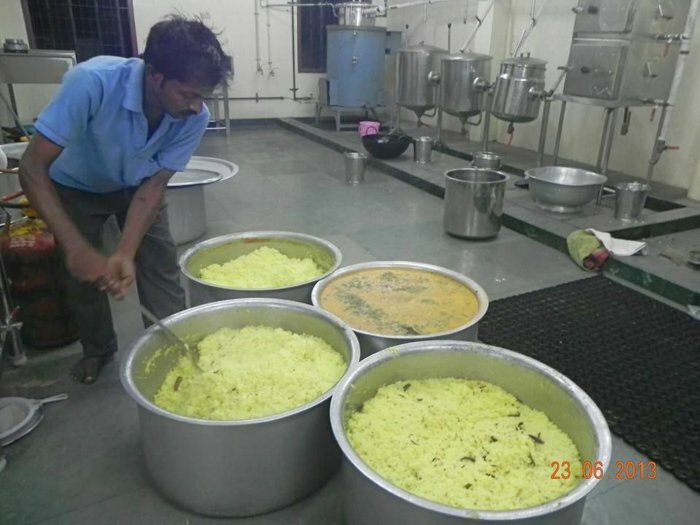 Every day, fresh meals are prepared thrice daily and served to all 450+ people at the home. Narayanan Krishnan and the staff wake up early and prepare the food using fresh ingredients bought from local markets of Madurai. Meals consist of healthy South Indian specialty dishes including idlis, pongal, oothapams, upma, dosa, parottas and biryanis. Till 2016, over 2.25 million meals have been served for free to the destitute by Narayanan Krishnan. 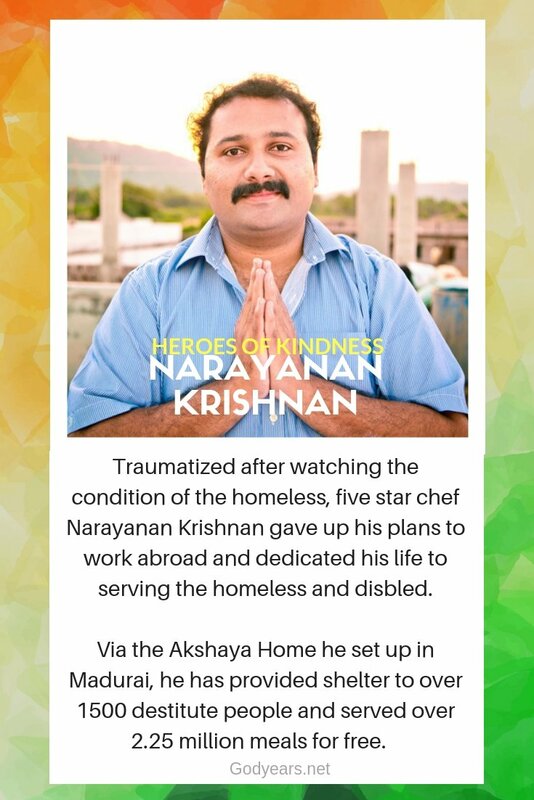 One of the Top 10 in CNN's Heroes 2010 list, Narayanan Krishnan continues in this amazingly selfless venture to provide food, care, rehabilitation and above all, dignity. For viewers of Malayalam cinema, this story will indeed sound familiar. Narayanan Krishnan's story was showcased in a subtle yet telling fashion in the 2012 hit film Ustad Hotel. In a wonderful example of 'kindness inspiring kindness', the movie would inspire the city of Kozhikode in Kerala (where the movie was set) to start 'Operation Sulaimani', a process by which the public along with over 200 restaurants worked together to ensure nobody in the district would be hungry and those without money would be served food for free with dignity. You can read about Operation Sulaimani here. You can read more about Narayanan Krishnan or help his foundation Akshaya Trust India here. World is blessed with many kind people and hats off to You doc you find them and tell their stories. I am sure a lot of people get inspired. If we all did a little bit the world would be a better place. These are few peoples because of whom we enjoy life with good rains etc. Thanks for sharing. An inspirational post ! Few days back I saw someone giving food @rs 5 in the market.The couple looked so satisfied while serving. Such people are an example in society. This is all I can say about him - "Sarvatra Da Bhala".. While most of us only talk of changing the world there are people like Narayanan who are already busy doing so. Humbled by and grateful for such people. The world is a better place because of them. A very inspirational story. We do need more people like him in this world. I had read about this person and was amazed with how his thinking has given hope to so many who had nothing!! 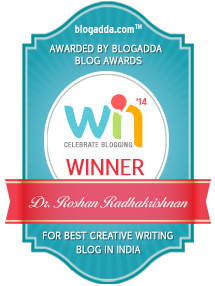 I found your blog through The Daily Write's link list. I immediately subscribed, and am reblogging this wonderful piece to my sister site, "Timeless Wisdoms." Keep up the great work! Such a selfless soul!! 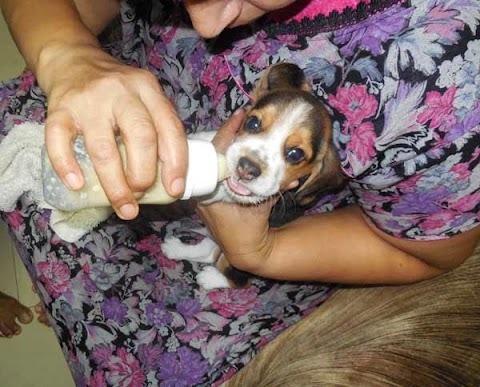 Looking at him we are assured still there is humanity in the world. Title of the post is perfect for him. These are the stories we all need to read when we start losing hoping in the fate of humanity and this planet.